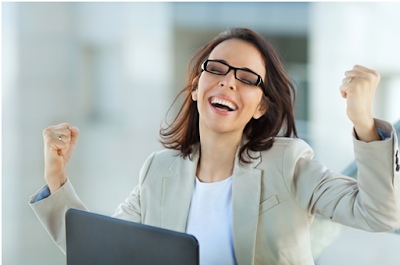 My Daily Career News: Get your Dream Job – Be Passionate! Get your Dream Job – Be Passionate! Are you one of those young individuals who are seeking their dream jobs and want to achieve the desired target? Are you tired of your old and monotonous career routine and are looking for something exhilarating in your lifestyle, by being an ardent follower of your dream job? Getting what your aim and intent is has become quite challenging and difficult in the current economical setup as being exposed to the basic, average jobs is also considered as an opportunity. Therefore, many individuals have given up on their targets and are following the everyday setting of career. To get the job of your dreams, you need to focus on the goal. Be clear in your mind, and make sure you are positive and evident about your objectives. Without any doubt, it is not going to be easy! With constant efforts and consistency in the struggle program, it is imperative to note here that such jobs are difficult to acquire. Due to the ever emerging trends and inclinations caused by technology and globalization, our professional priorities have also been altered and reshaped. Many individuals are looking for stability and equilibrium in the life, which can merely be acquired by working in a proper professional setup. The old elements still exist, such as network, network and network, but the companies are again, looking for some thrilling elements to be introduced so that individuals are more content and satisfied. So what if the economy is not in shape and the recession is around the corner? Getting what you desire and intent professionally can definitely be a tough chore, but not impossible. Pay your bills with the ever increasing salaries and get the maximum economic pleasure by recruiting yourself in a job you love! Without completing the required and necessitated Bachelors and Master’s program, it might be difficult for you to get into the system you are dreaming for. There are certain requirements and basic elements for a company on the basis of which they recruit and hire people. Try to complete these essentials, in terms of education. Education merely is not enough for you to move forward. The complete package which is required by the companies, on which they hire individuals is the amalgamation of relevant experience and education. With a proper Master’s degree along with the presence of qualified and skillful experience, an individual can get whatever they want. Make sure to contact individuals who are experts in this field. They are very well aware of the hiring and recruiting process and can guide the beginners well. Therefore, before moving forward make sure you consult professionals and other company related individuals, so that assistance and guidance is achieved in the rightful manner. In the end it is all about patience. It takes time and sometimes, you will face rejection and disappointment, while acquiring the desired job. Do not lose confidence and make sure to try multiple times before coming to a conclusion. Consistency is the key, so make it your everyday habit! Katherine William is an able writer. She is associated with Chief Papers homework writing service and is contributing with her skills and insights. She is also interested in writing blogs and articles and covers topic such as education and also guides the beginners who are in need.